Since 1954, Rousseau has been the only “tonnelier/foudrier” in Burgundy, both a tank/cask builder and a barrel maker. The passion for crafting large format vessels remains today as the third generation coopers run both barrels and tanks/casks “ateliers” (workshops). 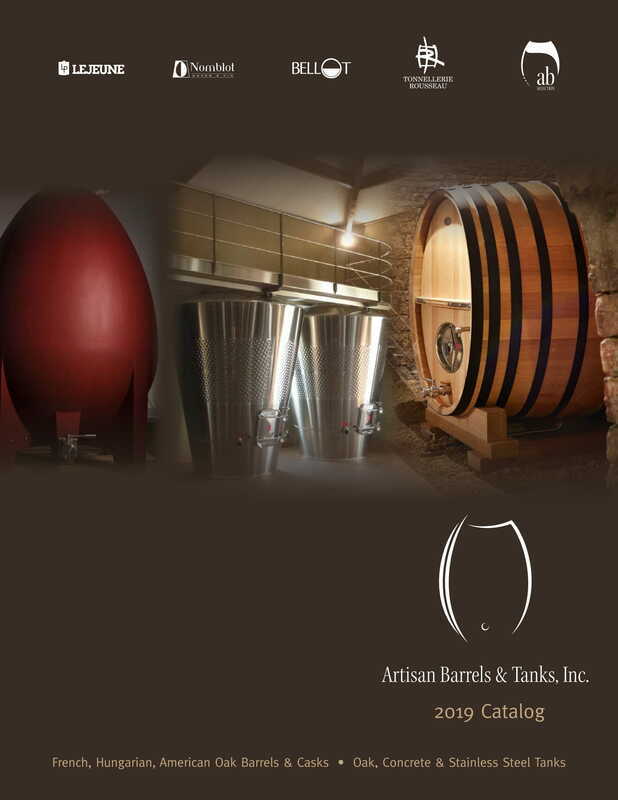 These open fermenters bring together traditional values and modern wine-making techniques. These fermenters will give wine the depth, the color and the body it deserves. If required, the vat can be equipped with various accessories, such as valves, cooling panels, thermometers, etc. Thanks to its large lid (up to 55’’ diameter) or a full removable lid, this tankcan be used both for vinification and ageing. It could be used to age both red and white wines. During the maturation, these casks will develop over time a subtle & gentle oak impact, adding texture and highlighting the fruit character of the wine. Ovals will be especially useful and space-efficient for wineries with less floor space. If required, the casks can be equipped with various accessories, such as valves, cooling panels, thermometers, hydraulic/aseptic bungs etc. The round and oval cask remain a classic, efficient and authentic solution for winemakers who wish to promote the vineyard characteristic over a cooper’s barrel profile. Wines are not all designed to be aged in small 60 gallons barrels. The larger cask maturation process will make fruit-driven wines more approachable and ready to be released earlier.